Luncheonette. Darn it all, I just found the word I was looking for back in 2007 when I set a scene in a coffee shop in New York. It wasn’t a coffee shop, it was a luncheonette. In that era, you could use the term coffee shop, but a reader might picture a Greenwich Village or a North Beach San Francisco dive that served espresso to long-haired women and men in berets. In my novel Beggar of Love, I wanted to evoke elbows on the counter, ham sandwiches and steaming cups of joe. Telling my sweetheart about this, she popped out with, “My Beautiful Luncheonette.” We laughed, because of the 1985 gay male film “My Beautiful Laundrette.” I immediately thought I could write a short story about a luncheonette, but I don’t have enough time left to write a story about every word I fall in love with, not to mention I already wrote Dusty’s Queen of Hearts Diner. We had another laugh over the thought that, while I regret not meeting my sweetheart thirty years earlier, I really, really regret not using the word luncheonette. If you’re a writer, you know what torment it is for that one perfect word to escape you. Working on Rainbow Gap, I needed genuine Southern slang in the worst way, because some of the characters had ancestors in Florida or Southern Georgia going back generations. For me, words are fun to research. I’ve been collecting slang for decades and have my expressions, idioms, and colloquialisms stored on hundreds of index cards, which I review when I’m stuck. There are times when a word flashes into my mind. The other day it was “midriff.” I asked my sweetheart when she’d last used the word. It was popular, in my memory, in the 1950s. Oh, boy, I said, I can’t wait to use that word. I pictured a character with a bared, tattooed and pierced midriff. I had to ask where, exactly, did a midriff start and end? Both of us guessed at the answer. I asked our brand-new Google Home Mini for synonyms and she came up with: stomach, belly, midsection. Thesaurus.com offered: belly, gut, midsection. In my mind, it’s the band of bare flesh between a 1949 halter top and the waistband of a woman’s wide flappy shorts. Men don’t have midriffs as far as I’m concerned. 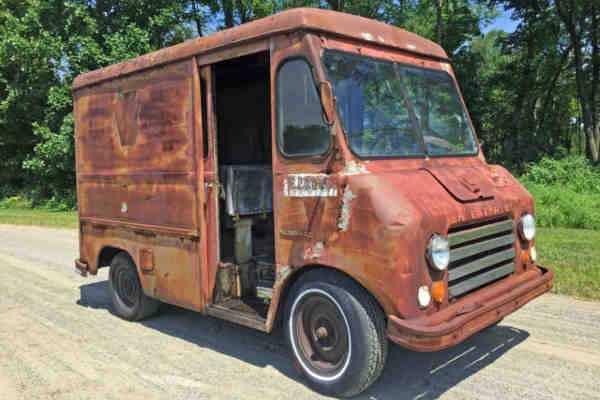 Then, I was cursed with the image of an old step van, in a dark color, adorned with the script, “The Midriff Brothers.” That got us started amusing ourselves all over again. My sweetheart wouldn’t budge from the idea of The Midriff Brothers Bakery. An old firm, they used to deliver bread and other baked goods in their step van. And the business slogan my sweetheart supplied? “Filling Midriffs for Three Hundred Years.” See why I love this woman? My favorites are the out of favor words and phrases. A neighbor asked how I was doing and I think I had an out of body experience. I replied, “Fair to middlin’.” These things just jump out of my mouth. I had never before used that expression. Then the neighbor, apropos of this, said, “Flibbertigibbet. Now there’s a word you don’t hear.” For the most part, this particular neighbor keeps herself to herself, another old saying meaning she’s a very private person. Speaking of herself, when you come from a heavily Irish family like I do, your “old mither” would have dinner on the table in “two shakes of a lamb’s tail.” After telling someone off, she’d say, “Put that in your pipe and smoke it.” I was a little dickens when I pulled a prank. I still describe an overly attached person as glomming onto someone or something. And I love how the word slumgullion feels in my mouth, though I don’t think I’d like the inferior stew. Oliver creates miracles of words. Meanwhile, those Midriff Brothers served their goods piping hot from their bakehouse. Their customers were always tickled pink. If something burned they’d have a cow. I regret every scrumptious word and historied phrase I’ll never get to use.